Very nice! Dark wood, brass and a blade. What’s not to like? Is the blade a friction fit so that its replaceable? The blade gets glued in, although a friction fit is possible I guess. 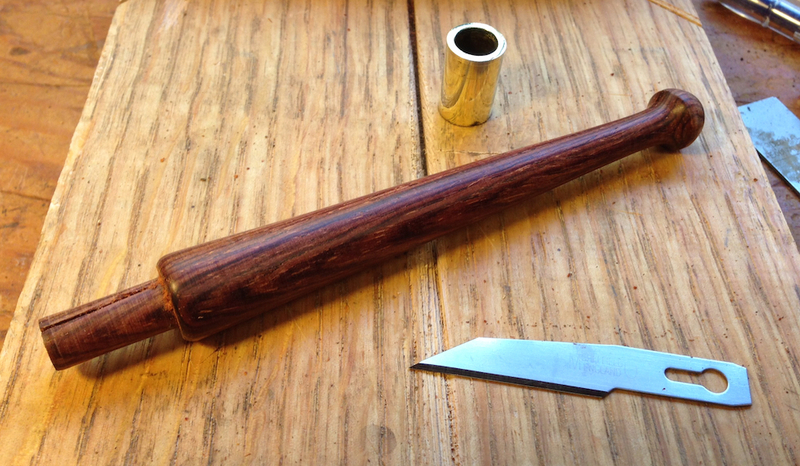 The article David Barron wrote outlines a unique sharpening approach for this blade. 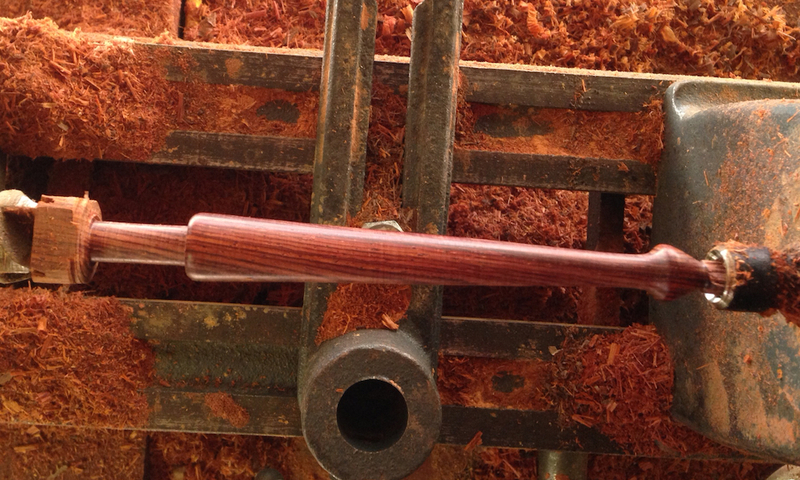 Since you only use the tip to mark dovetails, you sharpen it by working the angled back of the blade above the tip. Put that flat on the stone and stroke it to flatten and polish. We’ll see how that works out. That actually makes really good sense. This would make an excellent kolrosing knife as well. It’s funny, I was just writing up a post on my do all shop knife. My is purchased and very utilitarian though.